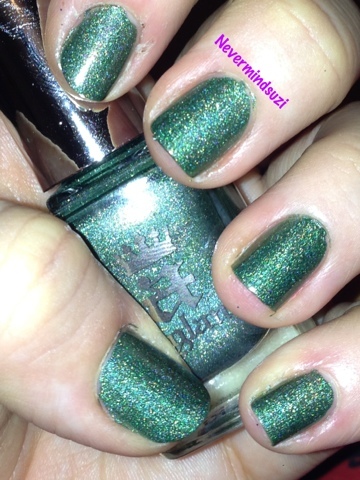 I've got quite a special Glitzology polish for you today. 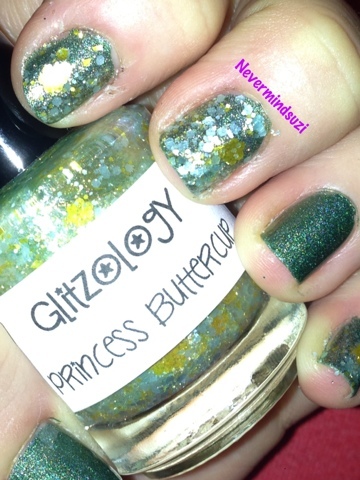 Another Princess Bride themed polish called Princess Buttercup. 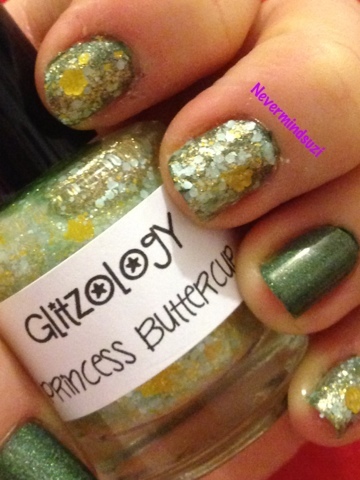 A clear base full of yellow gold shimmer, yellow gold glitter, pale green glitter and yellow gold buttercups!! 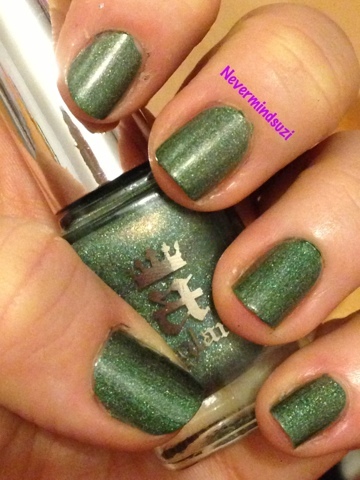 I layered this over A England's Dragon - an olive green holo, which on its own is absolutely stunning! !